Harry Lee James obituary. Carnes Funeral Home. Sep 23, 2017 Dear Family and Friends, I am so sorry for your loss; along with the pain come many questions Job in the Bible asked, \"If a man dies, can he live again\"? (Job 14:14,15) The answer is yes! We can have the hope of seeing our loved ones again, right here on earth. (Psalms 37:29)Please accept my deepest sympathies. Harry Lee James was born May 1, 1926 to Plez and Viola James in Bedias, Texas. He was baptized at an early age and reared in the Grimes County School System. He united in Holy Matrimony to Lallie West on April 8, 1944. To this union three children were born, Mattie Jewel, Jesse Lee, and Roy Edward. He retired from Labor Local Union 116, Texas City, Texas. 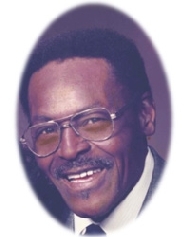 His legacy of love and support will remain in the hearts of his devoted and caring children, Daughter, Mattie Jewel James Simon; Sons, Jesse Lee James, Sr. (Geraldine), Roy Edward James (Barbara); Grandchildren, Roderick James, (Patricia), Rozalyn Denise Reese (John), LaDerrick James, Katina Lynn Amey (Derrick), Jesse James, Jr. (Monica Callis), Lionel Frederick (Barneya), Ken Myles, and Rondia Yvette Williams; 13 Great-Grandchildren and 9 Great-Great Grandchildren; Sister, Thelma Smith; Extended Family, Jimmie and Lois Sherwood and Eva Barron; and a Host of Nieces, Nephews, Family Members and Friends. Visitation will be held on Friday, September 15, 2017 from 5:00 pm – 7:00 pm at Carnes Funeral Home of Texas City; Viewing will be on Saturday, September 16, 2017 at 9:00 am and Services at 10:00 am at Greater Barbour's Chapel Baptist Church, Texas City, Texas with Pastor Andrew W. Berry, II, Officiating & Eulogist.